Noted actor (Davy Crockett) Fess Parker and his son, Eli, originally planted a small vineyard in 1989. Today, Fess Parker Winery & Vineyards farms almost 700 acres on four vineyards throughout Santa Barbara County. Pinot Noir grapes are also sourced from noted vineyards in Santa Barbara County including Bien Nacido Vineyard, Ashley's Vineyard and Rio Vista Vineyard. 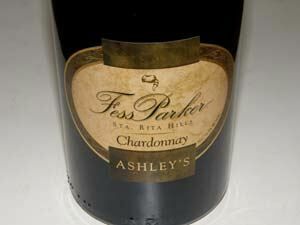 Fess Parker Winery & Vineyards has a full lineup of wines including Riesling, Chardonnay, Viognier and Syrah. The first Pinot Noir was produced in 1989. The winery tasting room and visitor center is open daily on the Foxen Canyon Wine Trail, 6200 Foxen Canyon Rd., in Los Olivos. The owners also operate the Fess Parker Wine Country Inn & Spa in Los Olivos.